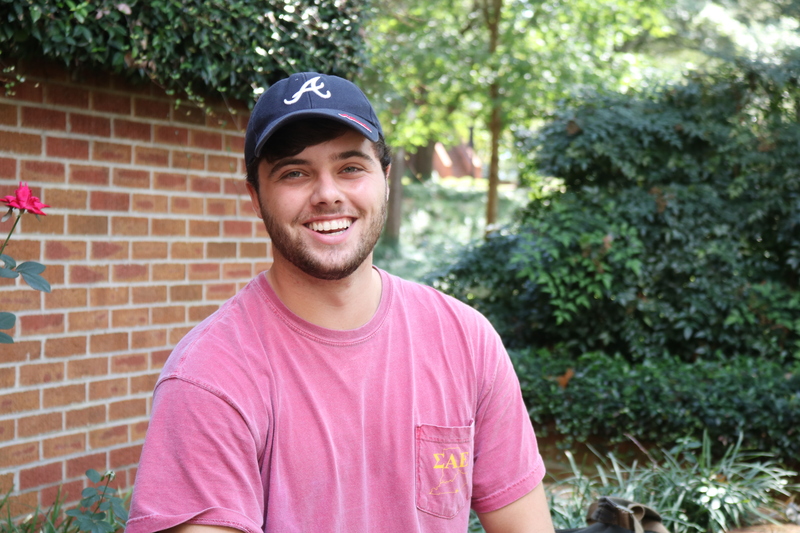 This week's Meet the Millsapian is Tyler Hays, a sophomore from Clarksdale, Miss. Photo courtesy of Bailey Smith. Tyler Hays is a sophomore business administration from Clarksdale, Miss. He wears many hats on campus as a Foundations leader, recently elected SBA senator and current member of Sigma Alpha Epsilon fraternity. In his free time, he enjoys exercising and playing guitar and piano. He also enjoys video games. Tyler Hays: I knew that at the bigger university schools, I wouldn’t be able to show off any unique qualities so I would just kind of fall into being a number and not feel encouraged to stand out and do something for the school. Here, I get unique attention and I’m encouraged to do well and really feel like that’s what I need to be doing. P&W: What has been your favorite experience thus far? TH: I’ve really enjoyed Foundations. That was kind of the first step for me to give back to the school. P&W: What personal goals do you want to achieve, long and short term? TH: Graduation’s a big one. I hope in SBA I’m able to work as hard as I can to make positive changes. I hope I can continue working with Foundations… possibly become a director in the future. A part of me wants to wants to take away the negative stereotypes of male Greek life and show people the values it can instill. P&W: What was your favorite childhood TV show? TH: Spongebob’s the easy answer. P&W: What’s something popular now that annoys you? TH: Fidget spinners. I just don’t get the trend with it. I don’t understand how it got popular and how it makes money. My roommate is big about it. He like tosses them around, and I can’t help but laugh at it. P&W: What is something that you do to improve your mood when you’re down or stressed? TH: I exercise. Playing music. Talking to my parents is also a big thing. They usually know exactly what to say to encourage me to get through what I’m struggling to get through at that moment. P&W: What’s an embarrassing story your family would tell about you? TH: So I have this stomach disease called ulcerative colitis. I hope it comes off as funny to other people and they don’t take it serious. So… It causes pain in the lower abdomen and, before I knew I (found out I had) it in ninth grade, I was in advanced math with all the pretty eighth grade girls in my school. I just thought it was something that everyone had and I would always be shifting around in my chair. People would think I was really hungry when my stomach would make noise. If they asked, ‘Did you eat anything this morning?’ I’d just lie and say, ‘No, I’m just really, really hungry.’ So I tried to play it off the best as I could. Then I realized something was wrong and we got it checked out and figured out that it was a stomach disease. That was the point where I realized I couldn’t be embarrassed by anything. TH: Martin Luther King is the first person that comes to mind. I just have the ultimate respect for him as a person and his peacemaking abilities. I try to live peacefully and not stir anything up, and he’s probably the best example of that. The Purple and White thanks Tyler for meeting with us this week! If you or someone you know would like to be the next “Meet the Millsapian,” you can email me at clevecd@millsaps.edu.